When the list says, piece the top, it doesn't sound much, but with the pieced border, this was a good mornings work. All the pieces are now together, and I need to shop for the backing and this will be completely finished. 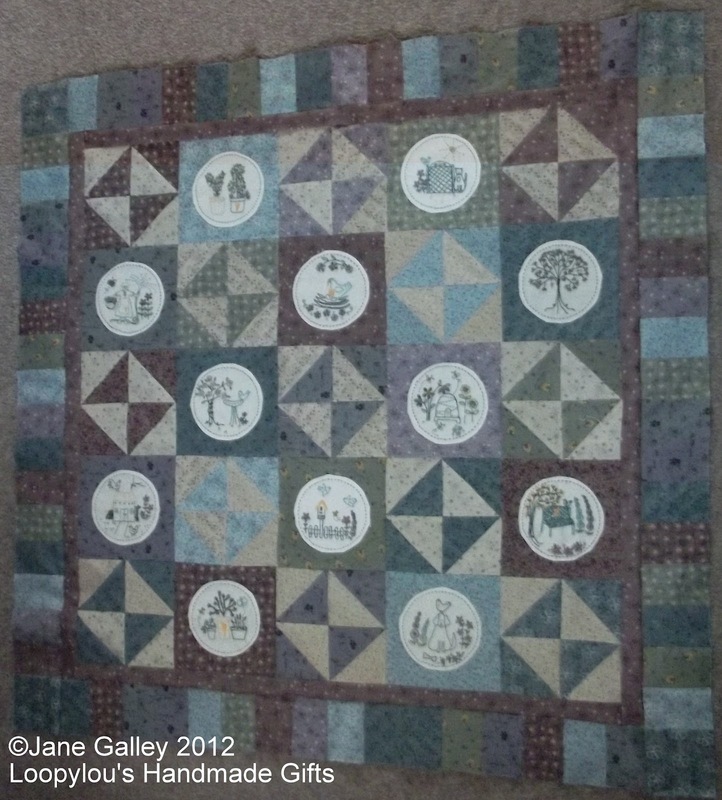 I love the stitching blocks and the colors you used in this one. Looks absolutely amazing! And it would be a couple of weeks worth of time for me, not one morning! this is really pretty too. are you going to do the quilting? This would have taken me much longer than a morning too...but I agree that the colours are absolutely beautiful.